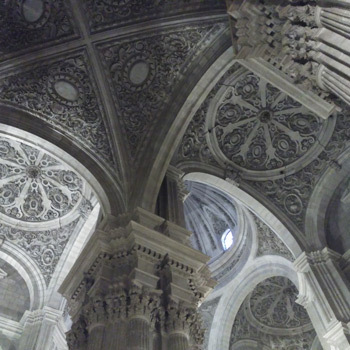 Here are some suggestions of what to do in Granada and not spend a centimo. These baths used to be part of the Mosque of the Walnut Tree (Mezquita del Nogal) which previously stood here. They were built in the 11th century and are considered to be among the oldest and most complete baths in Spain. 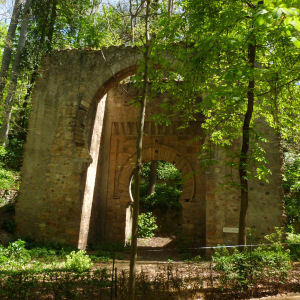 There is plenty to see in the Alhambra for free: walk up the Cuesta Gomerez from Plaza Nueva, under the Puerta de las Granadas and explore the grounds of the Alhambra (and see the original Puerta Bib-Rambla - left), walk through the Puerta de la Justicia (map & directions) and into the Alhambra. The parts you can visit without tickets are the Palacio Carlos V (where the Emperor Carlos V decided to build his Roman-style palace) and Alhambra Museum and on the Calle Real there is the Iglesia de Santa María de la Alhambra, Angel Barrios museum and the Arab Baths Baño de la Mezquita. If you follow the Calle Real up, you will come to the Convento de San Francisco which is now a Parador (one of the state-established hotels). Work began on the cathedral in 1523 and it took about 180 years to complete. There is free entrance to the cathedral except when mass is being held. Carmen de los Martires is a great place to stroll around. 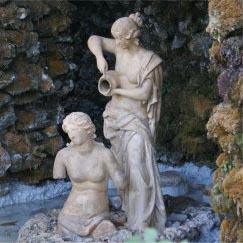 It consists of a house which was built as a summer residence and there is an ornamental lake and gardens with stautes, fountains and bridges. 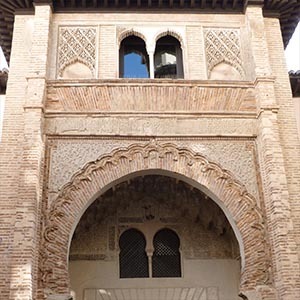 The Corral de Carbon is in the centre of Granada and has a spectacular original Arab entrance and a simple interior courtyard. 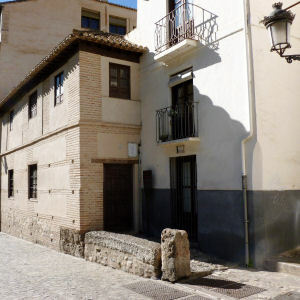 It is where the merchants who came to sell their goods in Granada and in the nearby Alcaicería silk market would stay. 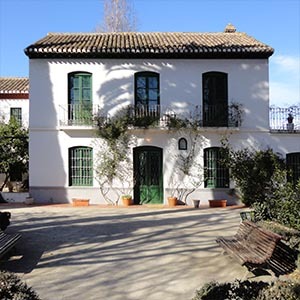 This is the summer house where the poet and playwright Federico Garcia Lorca lived for ten years before he was shot at the start of the Spanish Civil War in 1936. It is possible to visit the house and museum for free on Wednesdays. 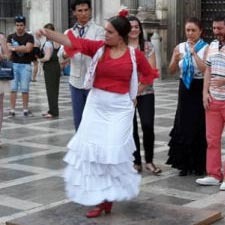 There are plenty of places where you can see flamenco street performances, and the most likely places to find them are after about 20:00 in the evening in Plaza Nueva, Plaza de las Pasiegas by the Cathedral and Mirador San Nicolás. There is a video of street flamenco here. Get an amazing view of the Alhambra. Mirador de San Nicolas is a square opposite the Alhambra with an amazing view of the Alhambra, Generalife, the Sierra Nevada and the whole of Granada. 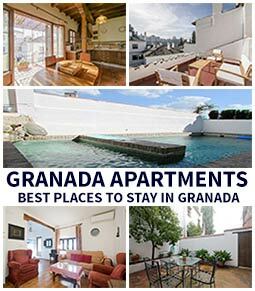 Almost everyone who visits Granada will go there. 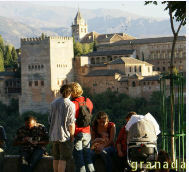 It is the the top of the Albayzin which is the old Arabic part of Granada.